An all new freestyle coaching session designed especially for Juniors aged 7-15 who have either attended the Snozone Academy Excel or our newer SnoAcademy AllStars programme and completed level 7star, Snozone Freestyle kids camp or of a recreational riding level ready to try freestyle features. These freestyle sessions are a great way to improve slope confidence, meet great like-minded people and progress in a fun and informative way. The coaches will cover everything from slope/park rules and etiquette to riding different freestyle features such as boxes, rails and kickers. Whether you’re new to freestyle riding, looking to increase your bag of tricks or just want to add some style to your riding then coaching sessions are for you. These sessions are open to adult skiers and snowboarders who meet our recreational standards. Meet the Snozone coaches out on the slopes for some relaxed and informal coaching tips. Progression Sessions are beginner-focused coaching sessions perfect for learning the basics on fun small features designed to give you a relaxed introduction to freestyle. This is a 3 hour session with a minimum of 2 hours coaching, taking place on Sunday at 7pm. Book your Progression Session pass for Castleford or Milton Keynes here. Book your Freestyle slope pass today! An ideal introduction to freestyle skiing and snowboarding. A full day course (8 hours including breaks) for those who want to take their first steps into freestyle. This is for skiers and snowboarders who can confidently descend the main slope indoors, or blue runs outdoors. You must be able to control your speed and direction through turns and show good balance and posture. 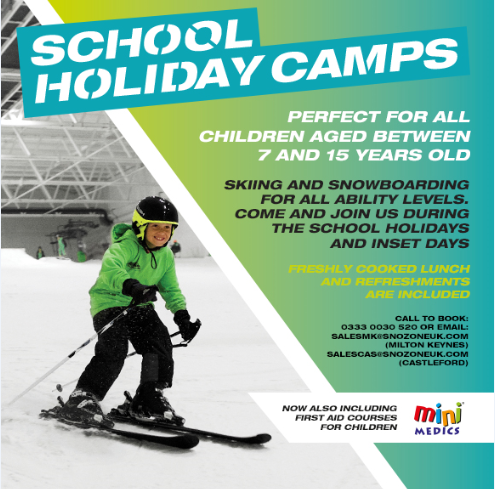 This is an ideal session to help improve balance and posture and confidence on your Ski’s or Snowboard. *This is a guide and session content can be adapted to the abilities of the group. To book your Freestyle Day Course please click here for Milton Keynes or here for Castleford. Or alternatively you can email freestylecas@snozoneuk.com (Castleford) or freestyleMK@snozoneuk.com (Milton Keynes). Why come to Snozone for your freestyle ski and snowboard coaching? Snozone is a fantastic environment for learning freestyle skiing or snowboarding. Not only do we have an experienced team who know what’s involved in freestyle coaching, we have some of the best facilities available. Of course, you’re welcome to bring your own ski or snowboard, but we have equipment here too- and their free to hire! If you’d like more information about freestyle coaching, or any of our skiing and snowboarding sessions, please email sales.mk@snozoneuk.com (Milton Keynes) or sales.cas@snozoneuk.com (Castleford).